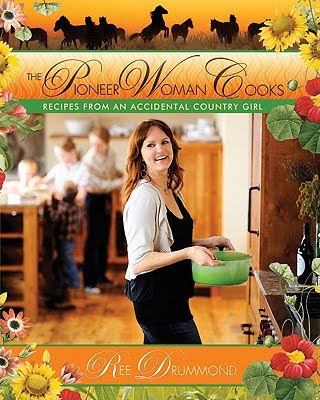 I've been reading Ree Drummond's blog The Pioneer Woman for quite a while. Interesting photography, a fun and breezy writing style, and really good recipes. The book is like the blog---great recipes and step-by-step photography. 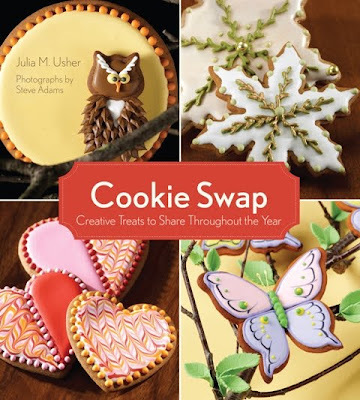 Another book that hit the shelves at the library today (not really, there are lots of 'holds' on this one) is Cookie Swap. The cookies are so beautiful...cookies through the seasons...weddings, garden parties, Halloween, and Christmas. I've never spent much time decorating cookies--or baking them--but I really want to try the snowflakes and hearts. Too pretty to eat. I love working at the library! I like the owls!!! -- megan. Hey, thanks for the mention of my book! I love your site, by the way - so lovely! I hope you continue to enjoy Cookie Swap!